Formula K is an established manufacturer of petrol and electric vehicles specifically for use in the leisure market. Originally from the North West of England the company founder and still Managing Director is Graham Liddle a successful go-kart racer winning 4 world cups between 1968 and 1973. 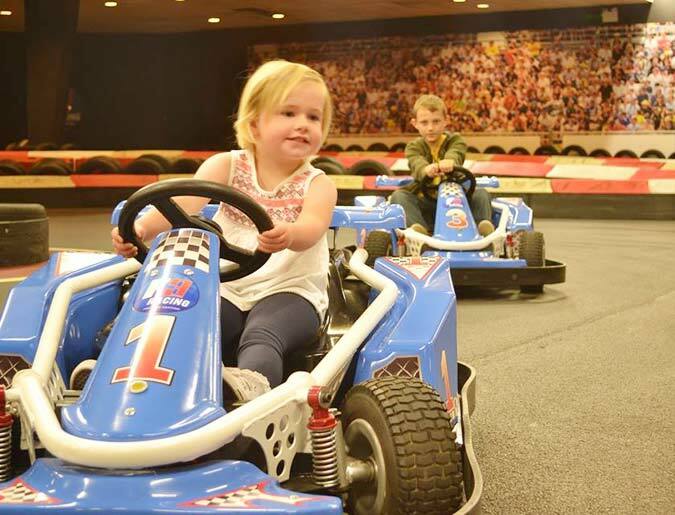 When the racing inevitably ended Graham decided on a parallel career path by renting Go-karts to the public for use on a purpose designed track at a popular North Wales coastal holiday resort. Soon it became apparent that equipment available for operators to buy for this fledgling activity was poor quality and inadequate for intensive commercial usage. With years of expertise in Go-Karting and a background in engineering it was decided that Graham should manufacture his own range of purpose designed rental go-karts which would be safe, fun to drive and also be built to a standard required for commercial use, and from this Formula K as a manufacturing company was born in modest workshops in 1980. Within a small time frame the products were selling nationwide as the only viable option to new commercial operators. Soon an international demand for these karts came apparent with new operators around the globe, hungry to bring this new and exciting leisure activity to their region, to date Formula K has exported its vehicles and equipment to over 50 countries worldwide. In recent times new markets for leisure vehicles for wider age groups have developed, and alongside these demands new vehicle concepts fitting to the marketplace have been developed and brought to reality. The most significant expansion of the range was incorporated in 2011 when a range of coin-operated mini cars for young children was developed and manufactured and has been one of the companies greatest success stories to date. Fast forward to today, Formula K remains a committed UK manufacturer, employing a skilled local team to design, manufacture and assemble the ever expanding range of products from a manufacturing factory still located in North Wales. 3D CAD design, Steel fabrication and GRP manufacturing are still being undertaken by our technicians in our premises.